This new upcoming season only max $30?? That's pathetic... Think I miss the train when the rewards were generous? Actually every season the value of the main rewards was around there (besides the main draw prizes) but it was easy to attain or participants cheated by just shaking the tracker. This time with requirement of heart rate tracker for moderate to vigorous activity for minimum of 15 minutes, going to need more work. 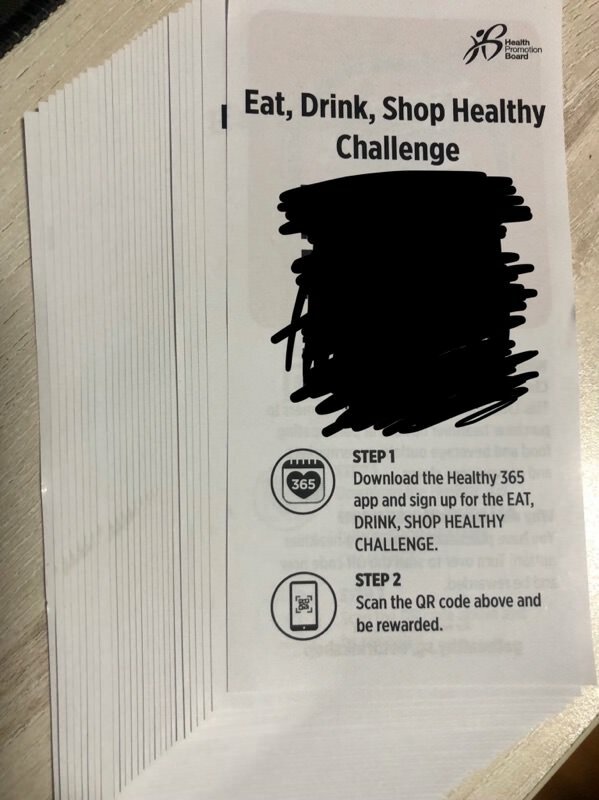 Did u participate in the eat healthily with us challenge? Lol i traded 2 Box... But limit 15pc/week, and 6 week left. rewards were never generous, last season also only 6 tiers, 5 x 750 points and 1 x 1500 points, so only $35. how come this national step challenge so popular? Take part hit steps target got money take meh? Cos people more health conscious. u mean can trade the box to what ? If they r not giving away monetary rewards u think ppl would queue for afew hours just to get the watch? Btw, is this campaign for sgrean only? PR n foreigners also can join? Participants who completed all prior seasons no longer have steps challenge. Now you will actually need to exercise to get the tracker to register heart rate above 120bpm. Its open to the public but only citizens and PR get the free tracker. The organisers will be wondering why less than half of the completers MIA in the mvpa catergory. The reward is way too little to break a sweat. They should set that participants must complete at least half the mvpa tiers to be allowed in the grand draw. Last edited by fluid_motion; 21-09-2018 at 11:06 AM..